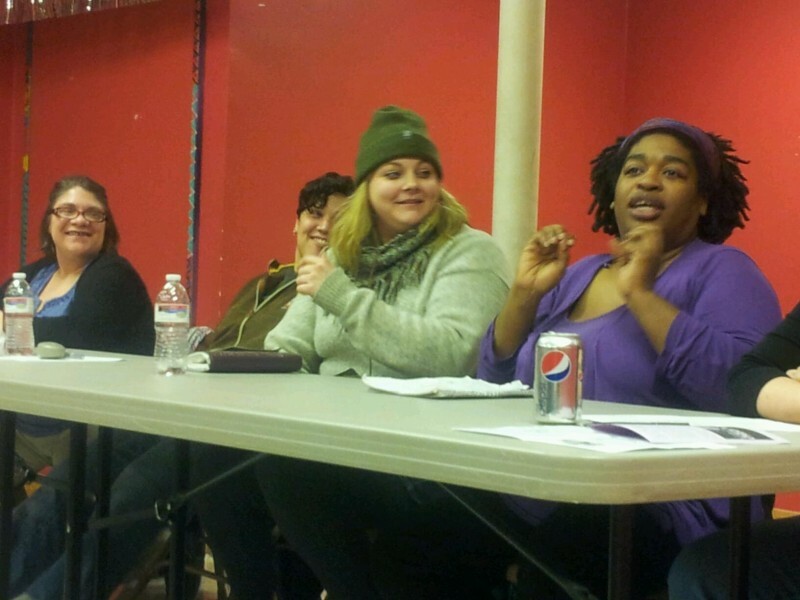 International Women’s Day celebrated in Twin Cities | Fight Back! Minneapolis, MN - More than 50 people gathered here March 9 to celebrate International Women’s Day. The event was sponsored by Freedom Road Socialist Organization and featured women leaders from the people’s struggles. Jess Sundin, a leader of Freedom Road Socialist Organization and one of the anti-war and international solidarity activists targeted by the FBI and grand jury repression, opened the program by recognizing women heroes of the people’s struggles. The crowd shouted out names they knew: Angela Davis, Lucy Parsons, Elizabeth Gurley Flynn, Rigoberta Menchu, Alexandra Kollontai, Assata Shakur, Leila Khaled, and others. Cherrene Horazuk, chief steward of AFSCME 3800, talked about the origins of International Working Women’s Day in the struggles of immigrant women textile workers in New York City. Her AFSCME local is a union of 93% women, and is bracing for several legislative attacks on labor, including an effort to make Minnesota an anti-union "Right to Work" state. The crowd cheered after spoken word performances by Misty Rowan and Angel Buechner.